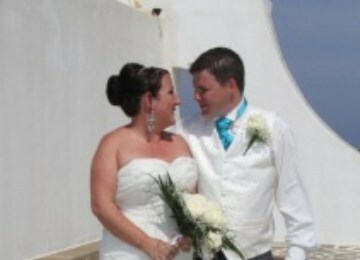 We have just come back from a dream wedding in St Sophia's in Rhodes and it was our wedding day! Our whole experience with Unforgettable Rhodes Wedding has been amazing; from all Tracy's help, advice and patience in the UK to Justine's perfect execution of the wedding day itself! The day was stress free and I can honestly say we had to worry about nothing, we just enjoyed our day. The only disappointing part was that the day had to end! The venue was picture perfect, the guests loved the champagne cruise and the food at Ladiko's Taverna was out of this world. The Wedding cake was delicious and enjoyed by all as were the Greek dancers. I can honestly say that we would not change a thing. 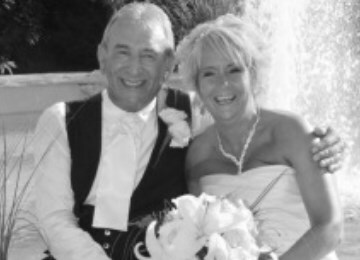 Unforgettable Rhodes Weddings offer a personal service to you as bride and groom, you are not just a number, instead you are a couple expecting a perfect day and this is most defiantly what they deliver we can't recommend them enough. Thank you everyone for making our day everything we dreamed of. I don't know where to start; Unforgettable Rhodes Weddings have been amazing from start to finish. We booked our wedding with them from reading other couples reviews and we have not been disappointed. Tracy has been absolutely amazing helping to plan our big day, she gave us ideas we had never thought about and also took our own ideas and dreams and put them into our planner. Her email communication was excellent and always prompts to reply. Before we flew to Rhodes I was completely confident that everything was organised and in place. On arrival in Rhodes we had our consultation with Justine, who is so lovely and down to earth, making us feel like our big day was just as important to her as it was us. We had 3 surprise guests arrive 2 days before the wedding, which was amazing but also had me worrying about the number change to our wedding plan. 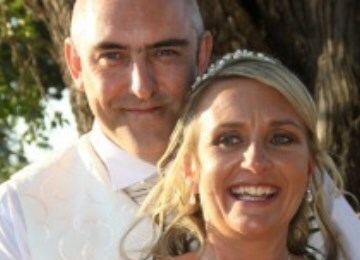 However a quick phone call to Justine and it was all sorted with no stress at all. Our big day was amazing; the whole team are just fab at their jobs, thank you to everyone who was involved. We just wanted to say a massive thank you to everyone in the team! From the start or our preparations the communication has been absolutely fantastic! I couldn't fault it in any way. Every email has been replied to and any question we had was always answered with a lovely personalised tone. Our wedding was just amazing, we loved every bit of it. It was all so perfect and planned that it just seemed like a dream! 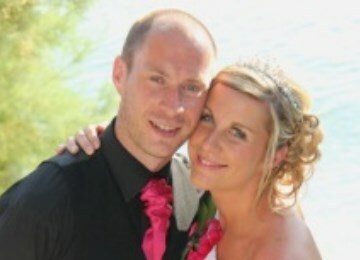 Justine you and your team are a credit to the wedding industry in Rhodes! From the moment we landed in Rhodes everything was dealt with thoroughly and very organised manner. My Dad was a little nervous about it all and he was just so pleased and grateful for everything. We loved every bit of detail and it was all how we wanted it to be and MORE! All our guests commented how perfect it was and all of our guests had never been to a wedding abroad and I think it exceeded their expectations. Our wedding was just perfect and I can't explain in words how much it meant to us both. The palladium was a great location and an excellent suggestion by you Justine! Thank you. We just can't say thank you enough you really are brilliant lady and have great multitasking skills. I wish you all the luck and happiness in the world to you and your team and look forward to coming back to Rhodes in the future. I would recommend everyone to come to Rhodes and get married and do it with you. Thank you from bottom of our hearts! We would like to thank everyone at Unforgettable Rhodes Weddings for helping make our wedding the most special time of our lives. From the moment we booked our package we felt comfortable that everything was being done to help take the pressure off of planning our big day, and no detail was overlooked. As soon as we arrived in Rhodes, Justine & her team made sure that we had nothing to worry about, and the day itself ran so smoothly that it was even more perfect than we could ever have imagined. Getting married on the beach at the Atrium Palace hotel was a truly unforgettable experience, and one that ourselves and our guests will always remember. We then took a glass bottom boat cruise to our reception venue, which was a truly special and unique experience! The reception at the Skala Taverna was amazing too, from the outstanding food and service to the fantastic Greek dancers. Also, a special mention to the DJ, Mark, who played all the songs we asked for, helping making it a party to remember. 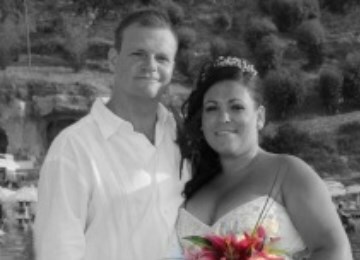 We would recommend Unforgettable Rhodes Weddings to anyone considering getting married abroad - fantastic service & value for money, and the knowledge that the pressure of planning your special day is in great hands! We just wanted to thank you for making our wedding the smoothest and most carefree! Everything flowed exactly like we imagined and even better. Everybody told us to expect things to go not as planned but we felt everything went as planned. The service you supplied was exceptional and above all our expectations. We loved how your team made us feel like they cared more about the details of our wedding than we did. Our wedding day was a totally stress-free and amazingly beautiful day, and we owe much of this to the "Unforgettable Rhodes Wedding" team. We would highly recommend you for anyone wanting to plan their wedding. If you're shopping for a wedding planner, stop here and look no further. TRUST US, you will not regret it. It was beyond a memorable experience. The company name truly says it all "UNFORGETTABLE".